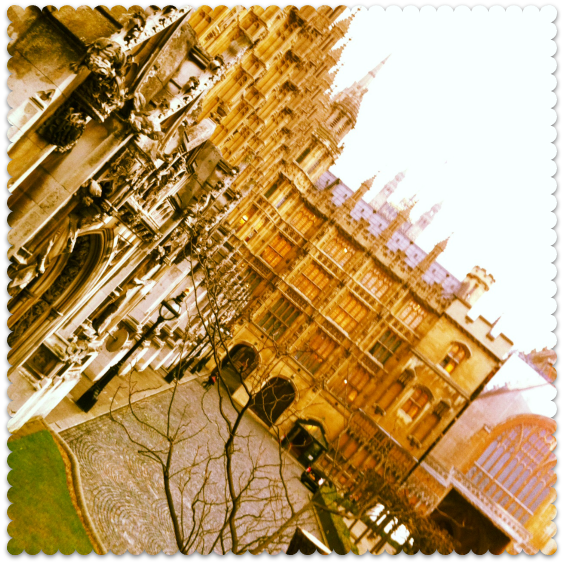 Budget Day 2013: Thumbs Up or Down? Thanks so much for all your feedback on what you wanted out of today’s Budget. More than 100 of you sent your thoughts, mostly via email and the Miss Thrifty Facebook page. I tend to find that what the Chancellor gives with one hand, he takes away with another. This year, however, it’s been a good Budget for working families. It isn’t amazing, but when you consider what might have been, it isn’t bad at all. The rise in the income tax threshold, from £9,440 to £10,000, will make a positive difference to all of us. The rise in fuel duty, which meant that pump prices were set to rise by a whopping 3p per litre in September, has been suspended for another year. I’m also pleased with the announcement that households with two working parents will receive £1,200 per year towards the cost of childcare. At the moment we use childcare vouchers for Thrifty Baby’s nursery, which work on a salary sacrifice scheme, which save us around £940 a year. Not only is there going to be an increased saving, but the new scheme will be open to all households with two working parents each earning less than £150,000 per annum. It is in contrast to the current scheme, in which you can enrol only if your employer has decided to participate. This places eligible parents in the minority. My only gripe (shared by many of you, if your emails and comments are anything to go by): the new childcare scheme doesn’t come into force until 2015. Those of us with small children could do with it sooner, rather than later! One final point, about an announcement that hasn’t received as much coverage, but which deserves a cheer. The new, single-tier pension of £144 per week, which was due to take effect in 2017, will now take effect in 2016. It sounds like a small detail, but for 80,000 women born in certain months in 1953, it means a lot. Despite having had their state pensionable age raised twice, with the assurance that they would receive the new weekly pension of £144, these ladies were utterly let down by the Government, which backtracked and declared that although they had to work for an extra four years, these women (but not men born in the same year) would get the old state pension of £107 per week. Today’s confirmation reverses that injustice. 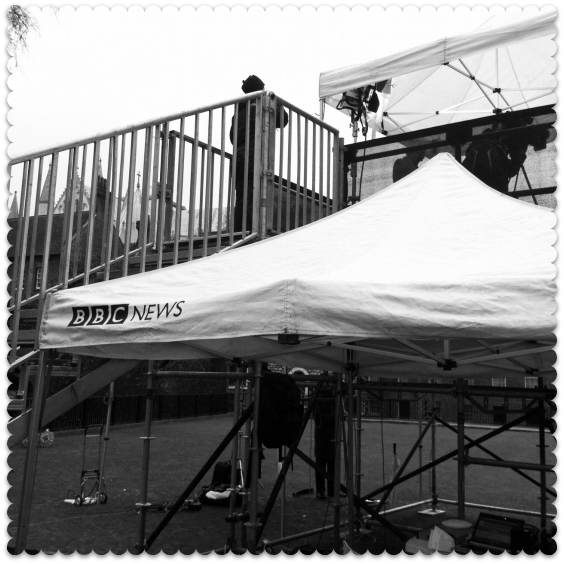 The interviews took place on the upper tier. It was as cold as it looks in the picture: after I was miked up, I had trouble rebuttoning my coat because my fingers were frozen. (Oh, the glamour!) I went on after Lord Heseltine and to be honest, it was a bit of a blur. I made all my points and apparently I came over ok. I hope so. I haven’t seen it yet, but I’ll share the clip when it arrives. Thanks again for your contributions, and I hope I was able to do them justice. I’m sure that some of you will disagree with me about the merits, or otherwise, of this year’s Budget. But really, considering where the economy is at, I think it could have been a LOT worse. Or am I being overly optimistic…? does the childcare budget apply to both parents who are working, even if one of them is self employed? I didn’t think the government took this career (self employed) very seriously these days or could I be wrong? I think the budget is another way of penalising stay at home mums, basically it’s saying what they do is useless and they should get a proper job, we are one of the few countries who undervalue mothers to this extent and yet we see shocking problems in society due to children being neglected. Going to say thumbs down! So i work & have to pay all the same bills as a single mum as to what a couple who have to. They will have two wages coming in so double what i have comming in & there getting an extra £1200 towards childcare! ????????? how is this fair or even logical ?? Aha – two thumbs down so far! Naiomi – As a lone parent in work, you too are eligible for the £1,200 towards childcare. More info here. Can I reserve judgement till I’ve asked a question? Does the new childcare scheme extend to the self employed? Neither my husband or I get childcare vouchers as we work for ourselves. Will that change? Thumbs up if so! Hattie – yes, as I understand it if you are self-employed and work at least 16 hours a week, you too are eligible.